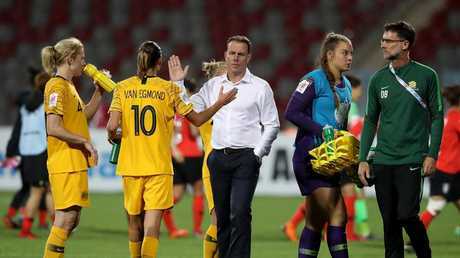 Former Matildas coach Alen Stajcic has broken his silence on his controversial sacking. FORMER Matildas coach Alen Stajcic has finally broken his silence on his shock sacking last month, saying "My career is in tatters and my reputation has been ruined." The Australian revealed a public statement which will be released by Stajcic this morning, in which Stajcic categorically denied any involvement in "any impropriety or misconduct relating to players or the Matildas set-up" and called for a "full and independent investigation" into his sacking. Stajcic confirmed he has sought legal advice over the dismissal, and will also front the media this morning with a press conference scheduled for 11am AEDT. The FFA will meet tonight to discuss the manner in which Stajcic was ousted. "My career is in tatters and my reputation has been ruined. My family must now live out this daily drama in the public eye," Stajcic said in the lengthy statement. Stajcic said the sacking had left his career in tatters. Stajcic said despite repeated requests, he still did not know why he was sacked. "I still do not know the reason(s) why my employment was terminated, aside from Mr Gallop telling me that the Matildas had a "poor culture" and I, as Head Coach, was responsible. "No other explanation has been given to me in spite of my repeated requests for the FFA to provide me with reasons why it had decided, by 19 January 2019, to take the extreme decision to terminate my employment contract." "I look forward to the search for truth, honour and integrity in this awful saga," Stajcic wrote in the release issued early on Monday morning. "I concur with others who are demanding a full and independent investigation." 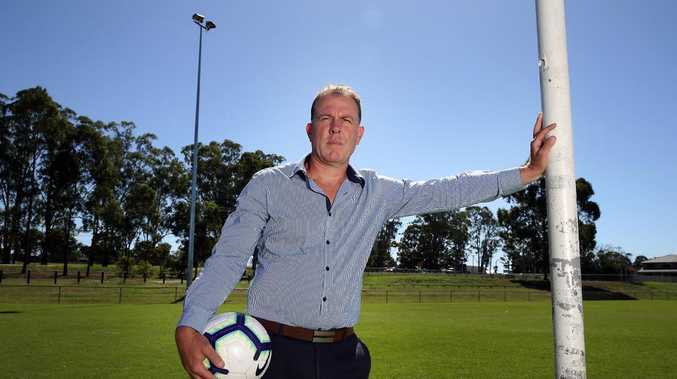 FFA has repeatedly cited confidentiality requirements as the reason for its continued silence on details regarding the survey from gender equality group Our Watch, a central factor in the whole storm which Stajcic says he has requested but not been shown. An open letter to the Australian football community. It is unfortunate that I could not make any public comment earlier than now, regarding the ongoing speculation and innuendo concerning my removal as the Head Coach of the Australian Women's Football Team (the "Matildas"). I have until now remained silent for important legal reasons. Throughout this difficult time, I have tried to remain constructive and consider all of the affected parties. Most importantly, I have also acted in the best interests of my family, innocent persons who are suffering personally due to the injustice that has occurred. This has taken a huge personal toll on my family. In order to protect my reputation in the face of unwarranted speculation from various sources, I feel that it is necessary that I make this statement in relation to the FFA's decision to terminate my employment. 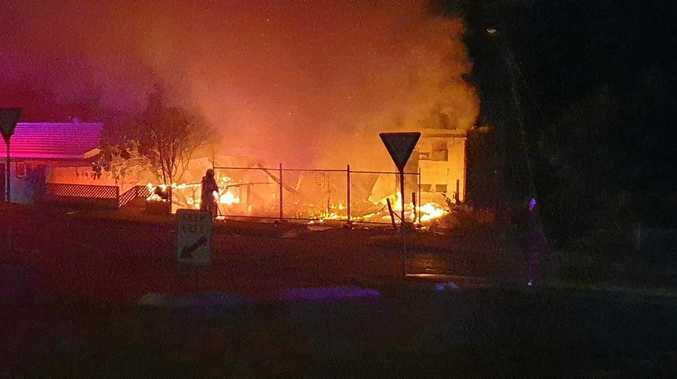 iii) the FFA CEO's assertion that the Matilda's had a "poor culture". I wish to make it abundantly clear that during my time as Matildas Head Coach, over nearly five years, I was not made aware, by FFA's Chief Executive Officer, David Gallop, of the existence of, or the occurrence of, any serious issues of concern within the Matildas set-up. In fact, up until the day before the FFA terminated my employment I have only ever received praise from Mr Gallop both publicly and privately. I still do not know the reason(s) why my employment was terminated, aside from Mr Gallop telling me that the Matildas had a "poor culture" and I, as Head Coach, was responsible. No other explanation has been given to me in spite of my repeated requests for the FFA to provide me with reasons why it had decided, by 19 January 2019, to take the extreme decision to terminate my employment contract. The very first time I met with Mr Gallop about these alleged "poor culture" issues were on 18 January 2019, at 9.30am. Our discussion about the supposed "poor culture" within the Matildas lasted approximately 20 minutes. Thereafter my employment was terminated the next morning at a meeting arranged for 9.30am on the Saturday. That meeting was arranged by the FFA after the close of business on the evening of Friday, 18 January 2019. In regards to the survey conducted by Professional Footballers' Association (PFA), I requested and was provided with a copy of the PFA Report for the first time in early December last year. Upon reviewing the PFA Report I notified the FFA's Head of National Teams that the report was materially and hopelessly flawed in its design and delivery. I questioned the validity, reliability and integrity of the results on multiple occasions. I expressed the same view to Mr Gallop in the meeting on January 18. I am not even certain that only individuals within the cohort, identified during the design phase of the survey, completed it. I understand that it is difficult, and perhaps not even possible to even ascertain who completed the survey. Regarding the other surveys and interviews that Mr Gallop has referred to in his media statements made since my employment was terminated, the FFA has not made these surveys and interviews (or any information relating to these surveys and interviews) available to me - despite repeated requests made of the FFA by the Football Coaches Association (FCA), my legal team and me personally. I have offered to receive these documents and this information on confidential terms, but this offer has been refused. Mr Gallop referred to these other surveys, and information apparently available to the FFA, in the final few minutes of our meeting on 18 January 2019. However, I was provided with absolutely no specific information or detail about what he was talking about. I was left in an impossible position where I could not respond to anything which had been referred to, because I received no specific notice of what I might need to answer. At no time, either after the meeting on 18 January 2019, before the meeting on 19 January 2019 or otherwise, has the FFA afforded me any opportunity, courtesy or fairness in allowing me to respond to any of the findings which it considered in deciding to terminate my employment. Leaving aside the understandable supposition and conjecture in the media and on social media, I remain "in the dark" about exactly how the FFA arrived at the decision to terminate my employment. I have no way of knowing whether the information, presented to the FFA's Board in relation to this matter, has any truth or substance to it. All I can do is repeat my position as stated above. Team culture is something that we all work constantly to evolve and improve. During my time as Head Coach of the Matildas, we consistently worked on leadership skills, empowering the players and building relationships. We monitored players daily for their physical, mental and social wellbeing. In last 18 months, I as Head Coach, initiated the creation of two new permanent positions in our team to help support the players even further. Within these two positions, multiple roles were covered, including Strength and Conditioning; Wellbeing and Daily Monitoring; Team Performance (including Sports Psychology); developing Leadership; and enhancing Team Culture. Both of these staff members contributed immensely to our Matildas team program. They, alongside me, not only supported the Matildas players while they were in camp with us, but also provided support for players when they were with clubs anywhere in the world at any given point in time as required. In the last six months, I and my fellow Matildas staff commenced Individual Player Plans for each Matildas player. I initiated a new team-building process, which commenced in January 2019, to lead us even further forward in the future and prepare us even better for the challenges that lay ahead. The Leadership and Team Culture camp was my idea, and had been planned for months. On tours, the Matildas are like a family: about 35 people, comprising 20 or so players and up to 15 staff, working hard to deliver on our dream of becoming World Champions. During my tenure we instilled belief, camaraderie and a desire for every person to push themselves even further in the pursuit of excellence. The last two years have been a massive experience for everyone in the group, as most players transitioned from being semi-pro to full-time professional footballers. It has been a steep learning curve for all, amplified by the success, attention and scrutiny that the Matildas now rightly deserve. All of us, staff and players, strived daily to overcome any issues - on or off the field - to ensure we could be the best we could possibly be: as people, first and foremost, and then as footballers representing our families, our sport and our country. The events of the last few weeks have devastated both me and my family. My career is in tatters and my reputation has been ruined. My family must now live out this daily drama in the public eye. Reading reports quoting an FFA Board Director, again without any specifics or understanding of the work we had been doing, has been extraordinarily hurtful. It has only added fuel to this firestorm of speculation. Statements that were leaked by this particular Board Director, which included "that I would never work in football again", have caused irreparable damage. All up, the emotional and mental toll that the past fortnight has taken on me, and my family, cannot be described in words. I consider these actions of the FFA to be without foundation and unjustifiable - and the alleged actions of the FFA Board Member have smeared my name, not only as an International Coach, but as a father and as a person. I have taken legal advice about these matters, which includes potential action on defamation and the breach of contractual obligations by the FFA.The support that I have received from players, staff, family, friends and the general public has been overwhelming. As a football community, and more broadly as a nation, we were on this journey together. I thank all of you from the bottom of my heart. I have always tried my hardest to provide genuine care for all the players within my teams and have constantly battled with administrators to improve conditions for all in our environment. I have always loved our sport and the people within it who bring the same energy and passion that I do. My intent has always been to strive for excellence and to constantly push ourselves out of our comfort zones. We all dreamed Australia could become World Champions this year and, beyond that, I wanted to play my part in unlocking the potential of the sport in our country. Irrespective of my termination, it goes without saying that I wish the team all the best in the World Cup and beyond. While it has broken my heart and spirit to think I am no longer on that journey that I shared with so many for such a long time, I will continue to follow the Matildas - both individually and a team. I truly wish to see Australia take its rightful place on the world football stage and believe this team can do it. For now, I look forward to the search for truth, honour and integrity in this awful saga. I concur with others who are demanding a full and independent investigation. I earnestly hope that this matter can be resolved in a timely manner in the best interests of the Matildas, my family, and the broader football community.